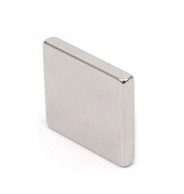 Neodymium Iron Boron ("Neo", NdFeB or Neodymium) Magnets are made from an alloy containing, amongst others, the elements Neodymium, Iron and Boron (NdFeB). 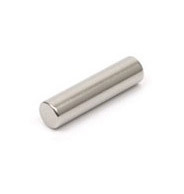 The NdFeB magnets are the strongest type of magnet commercially available and are manufactured in a wide range of shapes, sizes and grades. We offer 53 grades of licensed standard corrosion resistance Neodymium Iron Boron and now an additional 72 grades of improved corrosion resistance Neodymium Iron Boron, each type with 30 types of coating finish for each grade (125 grades in total with 34 finishes - 4250 combinations). 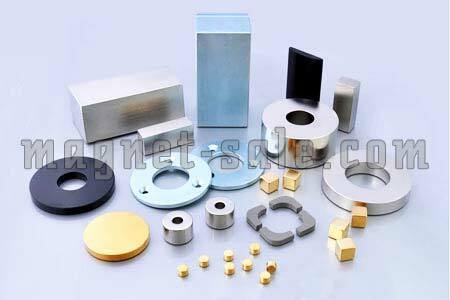 Our standard surface treatment is done by electrolytic nickel plating. 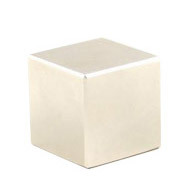 We can also deliver magnets with other specifications that meet the uses of magnet users, such as gold plating, epoxy resin coating and fluororesin coating. Neodymium powder is very fine and when dry can ignite spontaneously - care must be taken in handling NdFeB powder. 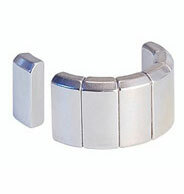 Neodymium ( NdFeB ) magnets are very powerful - care must be taken in handling these magnets to avoid injuries. Neodymium ( NdFeB ) magnets are susceptible to corrosion.